She got out of bed prudently wandering around naked in the comfort of her own home; feeling solace and gladdened by the nature of her being. The photoprint is mounted on a 2mm dibond or aluminium panel, then spaciously positioned in a dark brown (nut) wooden shadowbox frame with glass. The photo comes with a hangingsystem on the back. Fashion series starring topmodel Annegrietje Franssen. 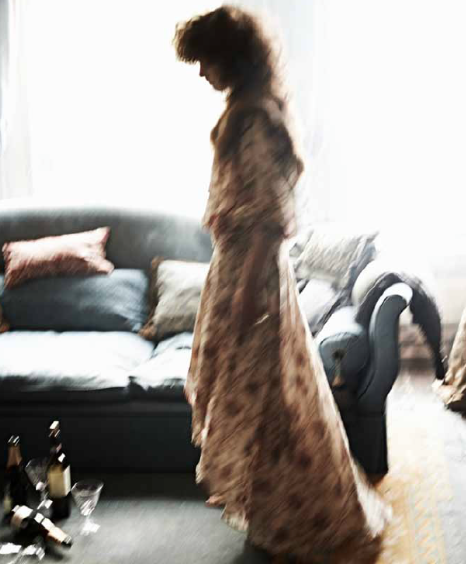 Theme: 'Fleur de Nuit', styling: Caroline Fuchs.